As this pundit blogs this post, I merely reminisce the long years ago when we made a tryst with destiny- the destiny which Nehru pompously talked of as he declared India independent at the stroke of midnight hour. The days of yore when our forefathers were unshackled from the tyranny of opression. The days of yore when Economic and Social freedom was just within our grasp. 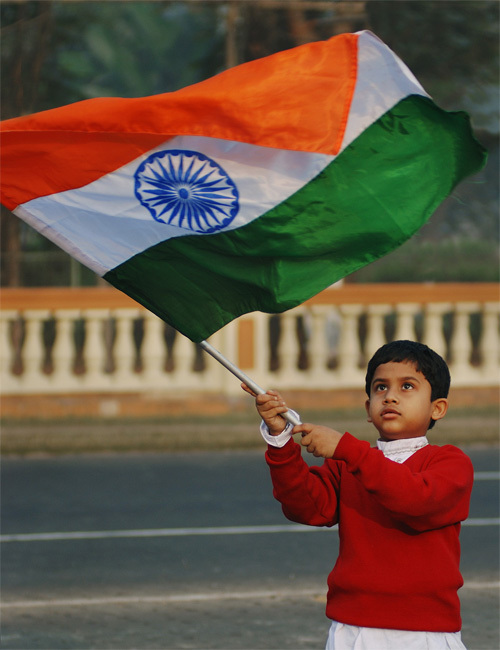 But at the theshhold of our 63rd year of independece, I merely remark – Have we really made a tryst with THAT Destiny? A country plagued by anomalies aboud. A country whose every single process is asymbiotic in nature. A country where the celebration of the flag hoisiting is limited to sardonic speeches, the tempestuous yawns behind the same speaker and the oppotunity for the commoner to rejoice at a very rare paid holiday! It is remarkable to perceive that our country has more liquor stores that it has primary schools. That drunkards force children out of schools, to enact the role of wage-earners, merely to meet their devilish desires – is a shame. That the babus distribute liquor bottles to attract crowds to rallies rather than food and clothing, is an even greater shame. The Fundamental Rights promised to us by Part III of out constitution is still a very distant dream. Where is the Right to freedom from exploitation, when realtors, in tow with the petty administration, forcibly evict the downtrodden from their homes overnight? Where is the right to equality when you make reservations to government positions on the basis of caste alone? All roads in this great nation of ours lead to the footsteps and bank accounts of the top brass alone. Once the common man is sucked into this immaculate vortex, it is seemingly inconceivable for him to return unscathed. A very limited number of honorary men own this nation, whose apparent honorary duty is to bestow these powers to their even more honorary offspring. At that stroke of midnight hour, our country was gaining freedom from the shackles of a nuclearized nation, integrating itself for the tough roads ahead. Have we fallen back into those days of derision where states are manufactured merely at the behest of sectarian desires? The political leaders of our country are everything but Jan-Sevaks. The are more of Rashtriya Swayam Sevaks(National self-workers), interested in meeting their own devilish needs. Shakespeare once quote in one of his works – “Oh Judgement thou art fled to brutish beassts, and men have lost their reason.’ Judgement has truly gone to the dogs – leaving us , the commoners gaping cluelessly for answers.